I don’t know what kind of situation you are facing with this period in your life, but I’m sure that with whatever you face you need motivation. Motivation is significant, from birth to death. A child when is learning to walk needs a stimulus, motivation to reach something he wants. It’s the same with almost all things in life. In order to succeed, we need motivation. I still remember one of my favorite motivational speakers talking about motivation, and shared as himself, although he is a motivational speaker, he listens to motivational videos, reads a lot of books, and continually searches for new ways to motivate himself. At this point in my life, I face a challenge that is very unknown to me. I am aware of how much this challenge is good for me, I’m continually learning, and I’m trying to succeed, but something I really need to succeed and continue to work (without external stimulus or reward) is motivation. That’s why I try to write and read more about this topic, and also share with you everything that helps me. One way to raise motivation is to watch more motivational videos or listen to motivational speakers. In this post, I want to share with you famous TED Talks for motivation. I got two conclusions. The first is that when the video (or the blog post, whatever) has a good headline that indicates the purpose of the video, it is much more likely that I will open and listen. The second thing I realized is that if there is a good description that only suggests the purpose of the video, the chances to open it are even higher. But, if the description is extensive and publishes the steps towards the goal, I have already received what I want and the chances to open the video are decreased. I listened to all the videos. I can not really tell in a few sentences what their purpose is, but what I want to convey to you is to reach yourself without knowing what it is about. You will be surprised, wealthier for a lot of information, you will find out many things that you did not know, or you forgot, and you will be much more motivated to achieve your own goal. All videos are equally important, and what’s important is that if you want to motivate yourself, you have to take the first step. 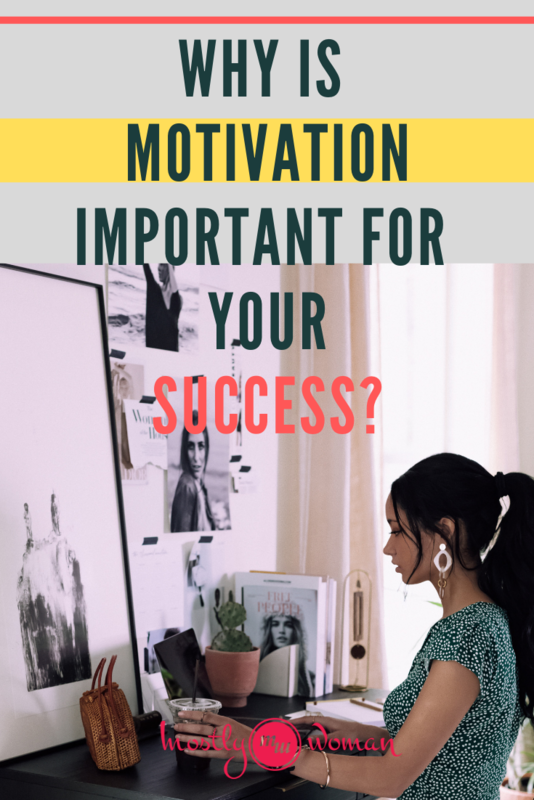 If you have not read it, I recommend that you first find out why motivation is so essential for success and happiness in life, and also if you are a book reader to choose one of these motivational books. This month is dedicated to Deepak Chopra. Every day there is a new quote of him on the blog. It gave me inspiration for a fascinating mental exercise that I believe will work well for all of us. I adore challenges, so I want to start one with you. Deepak Chopra is the author of many books, a public speaker, and also deals with alternative medicine. But his biography is not essential in this challenge. What matters to me is that his books and speeches always contain a lot. So let’s explain this. In this post, I will share with you 30 quotes from Deepak Chopra. Read one quote every day and see what this quote will awake in you. For this challenge, you need one quote from Deepak Chopra every day, a notebook and a pen. It doesn’t matter which day of the month you will start this challenge. You can start it anytime and anywhere. Think of this as a sign from the Universe and whenever you see this post you can start the challenge, either 1st or 31st of the month. Every morning read one quote. Sit in a quiet and peaceful place and be in touch with what you read. Did it provoke something in you? Does it remind you of something? Is there anything you want to do? Did you learn something new about yourself? If not, what did this quote means? Do you agree? Perhaps every quote won’t awake too many emotions every day, but I believe that you will have a new motivation each day. After 30 days, read the notebook and all the stuff you wrote. I am sure that you will learn many new things about yourself. You can do this exercise with your morning coffee or tea, on the road to work, or somewhere in between. It will not take you more than 5 minutes a day, but I am sure you will feel empowered afterward. If one or several quotes provoke in you something big and you can’t deal with it alone, please consult with a therapist. If you are interested in other mental exercises, check The Mental Exercise That Completely Changed My Life. I really try to invest as much free time as possible for personal growth and development, and I think that there is nothing more beautiful than such a quick mental exercise, which primarily forces us to think, to be in contact with ourselves, our emotions and our thoughts. It’s great if you’re not a type that wants to meditate, but I believe that each of these quotes can be seen as a sign from the universe to you. On this link, you can found Deepak Chopra’s YouTube channel, and on this link, you will find his web site, if you are interested to know more about and from him. You can do this exercise with other authors and quotes. It is not necessary to use these. If you like these kinds of challenges, I can do them more often. Here are some of his most famous books. Sit in a quiet and peaceful place and be in touch with what you read. Did it provoke something in you? Does it remind you of something? Is there anything you want to do? Did you learn something new about yourself? If not, what did this quote means? Do you agree with it? Do this for the next 29 days. Enjoy the challenge! If you got to the 30th day, congrats. I know it’s not easy to be on personal growth and development journey, and I also know how difficult it is to separate time for the same if you have too many obligations. That’s why I made this challenge that will not take more than 5 minutes a day, and I believe it will awaken in you many things that you forget. If nothing else, I’m sure that if you did this to the end, every day you had a small reminder of life and all those significant things. You also had a slight motivation for the upcoming day, and if these quotes provoked a lot more, then my goal is done. If you like this challenge, I can do it every month with a different author. Write me a message or leave a comment down below. Before I continue, please bear in mind that consulting with a professional is a MUST if you suffer severe depression or other mental condition. Some of them require medicational therapy, and a professional will know what to do next. Also, there is a stigma in the society that people that visit a therapist are mad, insane and ill. In therapy come people with severe problems, grief, anxiousness, depression, problems in their marriage, work or just because of self-growth and development. I am not against therapy, but in my opinion, it is essential for us to learn how to help ourselves. It’s a skill that a great therapist will help you learn it so you won’t depend on therapy anymore. Although life can be very unpredictable and visiting a therapist now and then is great, I want to share with you several things you can do to help yourself. There is a risk to open some painful memory and issue in your life and don’t know how to deal with it. In that situation, a therapist is required, and there it’s not much you can do, except to stay calm and avoid thinking about that issue. The first thing to do if you can’t afford a therapy is to search for a training clinic near you. There are places where you can find free therapy. Psychology students offer free therapy sessions, and they are great because they are under the supervision of experienced therapists. Also, search for a mental health center where you can find very cheap therapy or even free. If you find a free therapy, then you find a solution to your problem. But, if you can’t find a therapist, or you don’t feel comfortable to go in therapy, I will share with you other things you can do to feel better and work on your self-growth and development. OK. You realize something is going on, and you can’t afford therapy. What can I do? Where to start? Give yourself a break! Don’t rush out with decisions, goals, tasks. It will make you more stressed that you already are. Take a vacation if you can, day off from work, and find someone to take care of your home. Ask your partner to do the housework, take responsibility of the children, buy groceries, pay the bills. Sometimes these things will keep you occupied, and sometimes they can make you even more stressed. That is why I recommend you to take a day off and give yourself a break. If you are tired, don’t give up! Rest! We often give up our paths and dreams just because we are tired. Tiredness is something completely normal, and it should not be an obstacle in the realization of our life path and vision, but on the contrary, tiredness is here to give us a sign that it is time to slow down. It’s time to take care of yourself and to love yourself more. That’s why there is a break from work, coffee with friends, spa centers, vacations, holidays, parks, etc. Еach therapy starts with a plan. Тhe therapist makes an analysis and in agreement with the client decide on what the session will be directed. It should be the same with a self-therapy. Make a plan and decide on what will you put your focus on. You can quickly lose yourself in your thoughts, and that is why making a good plan and writing down your issue is very important. Another significant thing is that people have a vast number of defensive mechanisms, and although they are primarily aimed at protecting us, they can be quite problematic when it comes to personal growth and development and solving a particular problem. First, you must decide what you will put your focus on. Then analyze your self, your strengths, and your weaknesses. Don’t be afraid of them, we all have plenty. Now put the focus on your strengths. They are the most important. Focusing on them will help you make them even better. On the other hand, create a plan for how to overcome the issue to live happier. This step is not easy, and that is why I encourage you to search more on how to make a self-development plan. The next step is to take action and start the journey. Prepare for bad days and exceptions on the way. Always put time for self-love and care in the plan. The journey of personal growth and development can be very exhausting. Therefore I will again remind you how much rest is essential. As a psychologist, I recommend journaling (writing a diary) almost for everything. Why journaling? Еvery day, whether it’s in the morning or in the evening, you do an analysis of all the things that happened to you, all the emotions that have emerged, all the unusual and positive events, but also all the places where negative emotions and stress appear. In this way, through this analysis, you can accurately determine which things are right for you, and which are harmful and you want to reduce them or completely reject them. For example, that day you drank coffee with a friend, and suddenly you had a headache, fatigue, and a negative set of thoughts. What would that mean for you? I would say that if this is something that is repeated, it is likely that this person is toxic to you and it would be good to avoid him. If it’s not something that happens continuously, then check if the conversation mentions something that may have caused such a reaction. Тhis is just one example, but I think it is sufficient to understand the importance of writing a diary. The best way to self-analyze is precisely this technique, although it can be entirely subjective. Therefore, make a weekly analysis of the written, by making sure you read the diary as a third person. I will offer an exciting way of analyzing the diary. Read it as a third person every week, but write down on one sheet of paper all the emotions you encounter in the journal. How many positive emotions there are, as opposed to the negative ones. What emotions prevail? What is your dominant vibration? When you spit this, I believe that self-analysis will become much easier. What can I do to get better? What is great in my life? If you can’t afford therapy, you can provide a good company. I love support groups, although there aren’t much in the country where I live, and I don’t have a lot of experience with them. Why? The members in a support group provide help, support and usually, they share their coping mechanisms. That way they all feel empowered, and they establish social networks. There is one great thing in the support group, and that is the fact that they can be online. There is not much evidence how much these online support groups help, but for sure they are great for providing a sympathetic understanding and relating personal experiences. I would love to open a support group online, but I still don’t have much time with a baby at home. If I do, I will let you know to join. I put these all together because they all have the same purpose. Books, blog posts and videos are here to inform you, to educate you and to motivate you. Some people love to read, some to watch, and some to listen. If you like to read, focus on self-development blogs, self-care books, and websites. If you are a more visual person, watch motivational and self-help videos, and if you love to listen, you can always listen to audiobooks. I have to share that this is for me the most effective way for personal development, but also motivation, self-love, and change. But every person is different, and I can not say with certainty that this way will be the best for you too. I have experience with a client who was listening to motivational videos shook and came into a state of neurosis, which had to be resolved with therapy. Having in the background this experience, I must tell you to be careful with all the techniques you take on yourself, and therefore the first step in this post is to do everything in your power to find free therapy. Of course, this is a rare extremity that has happened, and to a person who takes little care of himself, but in the next steps I will explain and propose a few things that you need to do in order to help yourself. Something I noticed is that after reading a good book, I change the look of life. So when I started my psychotherapy studies, after the first book, I changed my entire worldview. And it is interesting how every subsequent one was complemented and continued to evolve and shape my character and view of things. After a certain period, I made a pause with my studies, and I began to read books on motivation, self-therapy, self-love, building a positive attitude, positive thoughts, changing thoughts, changing wrong beliefs, etc. Precisely these books, when connected with my previous knowledge as a psychologist and student of psychotherapy, completely changed my life. To be more explicit, I had the knowledge and practice that I did not know how to apply to myself. Classical literature on psychology and psychotherapy focused me on observation, overemphasis, client affection, focusing on the problem, attempting to capture defensive mechanisms, etc. In the whole circle, I totally forgot to love myself and to make my life cheerful. I do not say that the focus of those books is on the negative aspects, on the contrary, the initial goal of the therapy itself is to strengthen the client’s capacities, to understand the weaknesses and to achieve well-being. But, like many other things in life, more attention is paid to the bad, the negative, the painful, etc., rather than on the good aspects. I do not know if you find yourself in this category, but I noticed how much more I pay attention to the negative aspects. I think that’s because I’m a perfectionist (although I’ve been working on the case for over seven years). When I started reading motivational books, books on positive psychology, habits of successful and happy people, I realized that I had forgotten myself completely. How can I help my clients and guide them when I am very little motivated, moody and definitely dominated by negative emotions in my everyday life. I also saw this by writing a diary where I measured my feelings for a certain period. These are the key things you can apply as a self-therapy. But, I have already mentioned before, only these things are never sufficient to fully recover and change for the better. I like the holistic approach in any field, especially in therapy. It would mean that living only in our head is not sufficient. I want to emphasize the care of our body, and not focus on the soul and the mind alone. This is what I forgot about constantly while I was practicing for a psychotherapist. I always wondered, should I look good as a therapist? And the answer was always YES. What then can you do more? I will devote the next part to some things that are often forgotten. It has been proven that some things hang out positively for us, our hormonal balance and well-being. We are all individual creatures, and we have different needs, desires, and goals in life. That is the reason there are so many types of psychotherapy, various schools and psychology courses, different fitness programs, sports, dances, music, flavors, etc. There is no fit for everyone. Sometimes, the best solution is to try not to think of all that bothers you. I know it’s terribly hard to get rid of thoughts from a problem or thought that had bothered you for a long time, but fortunately, there are more ways to achieve this. All these activities are helpful to include them in the plan, so you don’t forget them. When you live outside of your head, enlightenment can occur. What? Yes, when you learn from time to time to live outside of your head, you will feel what it means to be here and now, to be present. If that presence leads you to cry, you cry. Do not collect everything in yourself, and when you try to stubbornly think, it is very often that these tears appear as a sign that they really weigh you down. Crying is healthy, necessary and useful for mental health. When I mentioned at the beginning that you have to give yourself time, I think that you should give yourself time to cry, to allow yourself to regret, to grieve, and to be in a depressed mood. I know that this advice is being heard continuously, and it is one of my most hated when I hear it. But when I say to exercise, I do not mean just on classical membership in the gym. I mean any sport, and it would be even more fun if it’s a social sport where you will not be alone. My favorite activity for relaxing my mind and body is a walk by the water. I’m lucky to live close to a river, so when the weather is nice, I want to spend time there. The sound calms down and gives me inspiration. Find a place to take walks; fast walking is a great exercise and much more effective than exhausting training. Also, picnic, hiking, swimming, skiing, they are all beautiful ways of exercise, and they are also fun. First one is to reduce alcohol, or completely quit it. I do not consume alcohol, it’s a psychotropic substance, and nobody can convince me that it is not. When I went to practice in the final year of college, I spent one week in a place for addicts. What alcohol makes to the addict, the family and the environment is terrible. What is most tragic, he can not give up and save himself because of the very reason that everyone around him drinks. Alcohol is not desirable when you are not stable psychologically, and therefore it’s best to avoid it. Both, alcohol and other psychotropic substances, of course. This is not the time to seek an excuse of the type “I was drunk”; on the contrary, this is a time of consciousness and spirituality. The second significant thing is to receive vitamin D, Omega 3, and vitamin B. Vitamin B6 is soothing, and many studies have proven its effectiveness. There is plenty of vitamin D in fatty fish like salmon, beef liver and egg yolks. Use the good weather and the sun whenever you are able. I have already spent a lot of energy on writing about self-love. One of the more popular posts is Why it’s so hard to love yourself, so I explained there the reasons for this, and I advise you to read that post. Here I will not write much of the ways that you can care for yourself because I also have another post for compelling ideas to practice self-love. The only thing I would recommend is to choose one day each week to dedicate on yourself only. That day let yourself be lazy, make a pedicure, a manicure, a new hairstyle, a massage, a spa or whatever comes to your mind. Many times when I feel bad, I just want a good massage and pedicure. Somebody to work for me. I need relaxation. I have already mentioned that there are many types of psychotherapy, and there is a good reason for that. Each type has its own advantages and disadvantages, and as time passes and I gain more experience, I realize that a mix of several different therapy schoolings would be perfect for every client. Each period carries different needs, each client has different requirements, and each therapy has its own specific goal. That’s why I want to encourage you to explore and learn. There are many techniques that you can apply yourself, which I believe will be very useful. I will list a few who come to mind, but there are many others, and that’s why I want to encourage you to explore more. I am pleased to live now when I can learn, but also share my knowledge with others. You can find everything on the online. In the first place, I will put minimalism as a technique, or way of life to try out. Clear your physical space. I remember, in the second year of my college, I had an excellent teacher in developmental psychology. I say excellent because she regularly shared personal experiences, and that’s the best way for me to learn. That professor shared that when she began to attend therapy, she regularly dreamed of how she is cleaning her house. After a while, she realized that in the dream she is “cleaning” her mind and soul. This is something I would always recommend. Living with less is living with more. Тhis year I’m working on the case to apply it to my whole family. It’s not easy to be a minimalist with a baby and a husband who has 20 pairs of trainers, but I believe I will be able to knock off other things. Other things I want to recommend and leave you to explore more are music therapy, art therapy, yoga, meditation, and aromatherapy. Of course, there are many other alternative methods that you can use, but these are the ones that I remembered. I am sure that if you apply all these steps your life will change for the better. I hope everything will be fine, and you will be able to overcome the crisis, but do not forget to continue to take care of yourself. I think it is about time for me to share with you this story and encourage you to do the mental exercise that completely changed my life. It is an exercise from the book “YOU’RE IN CHARGE: A Guide to Becoming Your Own Therapist” by Janette Rainwater, 1979. Yes, it is published in 1979! It is definitely not one of the new self-help books. But, in my opinion, it is the first book everyone should read if it’s on a self-development journey. First, I want to be completely honest with you and tell you how I underestimated this book several years ago. A dear professor recommended me this book in the last year of University, and I took it for granted. But, to have a higher score, my professor required me to do some of these book mental exercises. Today, I just can’t find words to express how thankful I am for having such an excellent professor. Several years later, I understand why this book was his favorite, and it is one of my favorite self-development books too. This book offers dozens of mental exercises, but I will share with you the one that completely changed my life. I didn’t realize this until several months ago when I found my old journal where I wrote everything that was required to do in this mental exercise. I was shocked and pleasantly surprised. The most exciting part is that the exercise is called The Next Three Years, and it’s been a little bit more than three years since I did it. Long story short, since I become a mother, I am aware that personal growth and development are significant. It is not only about me anymore, but it is also about being a great role model for my child too. The first time I did this mental exercise I wanted to be a mother, and I am so grateful today that I succeeded. I didn’t even realize how strong my wish to be a mother was until I saw this old journal of mine. I decided to do this exercise every now and then to consistently grow and be aware. Of course, you can’t change your life with only one step, but the journey of 1000 miles starts with that one step. I continuously write about the importance of awareness and acceptance, but I know that awareness is not something you can achieve smooth, especially with so many things on your mind. But, these kinds of mental exercises are excellent because they guide you in awareness and help you to realize what is right and what can be improved. You can easily map the great things in your life and concentrate on them, instead of the things you don’t like and want for you. This is the last mental exercise in the book “YOU ARE IN CHARGE: A Guide to Becoming Your Own Therapist” by Janette Rainwater. I will share this mental exercise with you, but it is much better to find it in her book. Bear in mind that this is the last exercise in her book and there is a good reason for it. I encourage you to start a personal growth journey, find a pen and a paper and write everything down. Almost every mental activity requires mindfulness. Breath and feel your body. Become aware of the present moment. Sit or lay down in a comfortable position. Imagine that you were told that you have only 3 years left to live. You will be healthy in that period. Instead of being angry, use your imagination and decide how you are going to spend those last three years of your life. Compare your life with the life you imagined to live. Find the similarities. What is different? Is there something you can implement in your daily life right now? What was most important for you? I like to write month by month for the next three years. Every detail I can think of. 36 months. Now, forget the thought that you have only three years left. Put that thought as far away as you can. Remember just those things that can serve you in the long term and make your life more beautiful. Please, bear in mind that you MUST be in a healthy condition and consult with a professional before trying anything new. If this mental exercise makes you feel anxious, please visit a therapist. Write down everything you think is necessary from this mental exercise. I believe that this is the exercise that helped me to realize what I really want in my life and I hope you will too. In her book, Jannete explains how this exercise helped her realize that she has always wanted to write a book. She realized that it is about time to write the book and share her knowledge with the world. This exercise helped me to realize that I am surrounded by toxic and negative people. I understand now that I don’t spend enough time with the people I love and care about. But also that I love being a mom and it is about time for me to start living my dream life. Everyone is obsessed with gratitude and meditation, and I am too. They are great for everyone. But also, I hope that people won’t forget to read more self-help books and try different mental exercises, such as these guided meditations. I hope that sharing this with all of you will help you to live the life you deserve. Self-development is a long journey, and every mental exercise will lead you to a different place. The most important thing is to enjoy the journey. If you are on a self-development journey, I recommend you to read The First Step Towards Change first. EVERY day is the perfect time to celebrate love, and there is nothing more beautiful than to celebrate it with great love books. I have a goal for 2019 to read at least two books a month, so I made a list of books that I would love to read. So it came to me that it is about time to share some great books with you, and maybe encourage you to start reading more. I have always loved books, and I really couldn’t imagine a weekend or a vacation without a book in my hands. Book lovers would understand me. It’s the era of videos, and I am aware that people are reading less because of the numerous number of videos everywhere. You can have fun watching movies, videos, tutorials, etc., but it is not the same as reading a book. Reading develops the imagination, and this is the main reason to read more and watch less. And while there are several good reasons why reading is so important, in my mind, the most important one is that it develops the mind. In this post, I would love to share with you eight love books that will change your love perception and life. There are dozens of love books out there, and I am sure you already have at least two in mind. My list is very long, but I decided to be more precise and share with you only the books that have changed my love perception, but also books that are entertaining. The master storyteller and my favorite author Paulo Coelho is the one that I will recommend most here and always. His books are fun, magical, exciting and have a unique story that will open your eyes. The first book that made me fall in love with Coelho is The Alchemist. I was 12 years old and fascinated by the story. Although, The Alchemist is a life-changing book, the first book that came in my mind from Coelho that have changed my love perception was Brida. Brida is a book about soulmates, love, life, and magic. About one soul in a different body. But, is it necessary to be with our soulmates forever? Is there only one soulmate out there? All these answers I found in this book at the end. I told you that my favorite author is Coelho. I love all his books. In 2014 he published Adultery – the novel that many psychologists like. It is a book about depression, apathy, love, intimacy and much more. This is the book that I always recommend to people that has no energy in their relationships. Why? It is a story about a woman that explores what it means to be happy. If you want a book that is fun to read with a great story but also to learn more about love, happiness, and depression – this is the perfect match. Adultery is in my opinion, one of his best books. It is a story about a young girl from Brazil who goes to search for her fortune in Switzerland. If you love books, please read this one and let me know what you think. The story is terrific, and Coelho made this book a masterpiece. Dr. Gary Chapman is someone I admire. He is the author of many books and I want to read them all. The Five Love Languages is the best book about love and marriage. His writing style is straightforward and effortless, and this book is educational with real-life stories as examples. Something I really like in this book is that it is eyeopening. If you want to save your relationship, found out what you love, explore love, and find out what your children like – read this book. I can’t express enough gratitude to Dr. Gary Chapman for writing this book. You can also discover your love language and even the love language of your child here. There is something about this book that is very special and I know that you will enjoy it. This is a book I read in my first year in University that has totally changed my perception of love, The Art Of Loving by Erick Fromm. Erich Fromm was a social psychologist and humanistic philosopher. In this book, he explained love in details and how we develop the skill to love. In this book, he presents 4 basic love elements: care, responsibility, respect, and knowledge. According to Fromm, loving oneself is not the same as selfish, egotistical or arrogant. Loving oneself is actually caring for ourselves, taking responsibility about ourselves, respecting ourselves and knowing ourselves. This book is not a novel, and not so entertaining, but it is beneficial and educational. Helen Fisher is an anthropologist and she offers a very different approach and research. It won’t be fun if I tell you the story, so if you are interested in love, why we love, what happens in our brain, and in our bodies – read this book. You will be surprised, and I am sure that this love book will change your love perspective a lot. If you want to live happily, if you are into personal development, self-love and living a mindful life, don’t forget Osho. Being in love: How to Love with Awareness and Relate Without Fear is a book about love without jealousy or possessiveness. You will find much beneficial information in this book, and I am sure that it will change your love perspective. Everybody is interested in getting, and nobody seems to enjoy giving. Thich Nhat Hanh is a Zen master and a spiritual leader. He is the best teacher if you want to learn mindfulness, mindful living, and self-love. Bear in mind that this wonderful man has over 100 books. Is it possible to love someone else if you don’t love yourself? How To Love will give you more answers than you can imagine, but also it is an excellent gift for someone you love. These were my top eight love books that changed my love life. I hope you will find them useful too. There are a million other books out there that I am sure are great, and I would love to hear some suggestions from you. Are there any love books that changed your love perception?